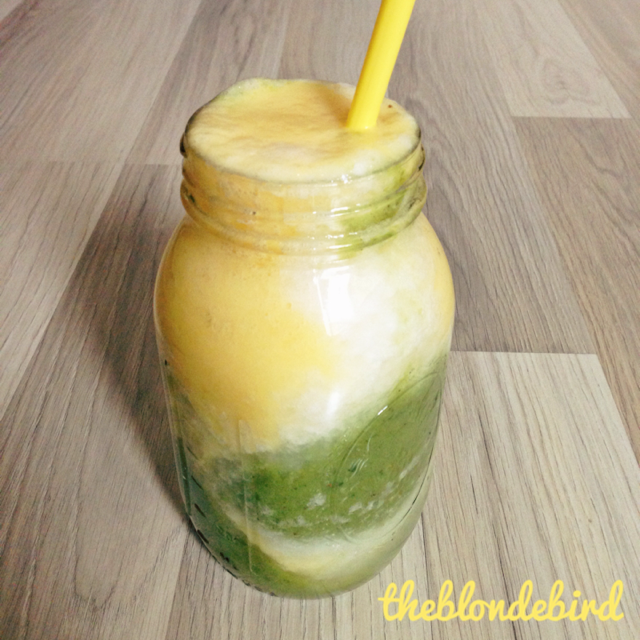 This is a yummie smoothie with pomelo, pineapple and kiwi. Pomelo is the largest citrus fruit and is available around the world during the winter months. It only takes a couple of minutes to prepare this delicious smoothie! Blend each smoothie with water. Alternately pour the smoothies into the jar. Voilà! That's it! So easy, right? ?